1. Choose a location that resonates with the both of you. You and your fiance should each pick one location. If they match, excellent! If not, depending on where they are, maybe you can incorporate both in your engagement session, or you can speak with your photographer who may have ideas. My advice is to always choose a location that has meaning to the both of you. The place where you got engaged, a favorite park where you picnic, a neighborhood where you both grew up, etc. For couples who are not from NYC, chose one place that you definitely want as a backdrop for your engagement photos. For couples who travel to NYC during the holidays, Rockefeller Center early in the morning at 7 am to avoid crowds is one way to get the scenery. Wherever it is, again, speak with your photographer to get ideas of what you want your engagement photos to look like. (i.e., urban, greenery, fall look, city backdrop, etc.). 2. Dress however you feel is comfortable for you! Whatever makes you feel good is best since we want a relaxed feel to your photos. You can always change outfits and start with formal wear, and then dress casually as your second look, or dress the entire time in dressy or casual clothes. However, try not to wear busy patterns where one is wearing plaid, and the other is wearing stripes. Bold colors are great for images, and if you already know your wedding colors you can even try to incorporate those colors into your outfits as a little detail (i.e. a scarf, a shirt color, a blazer, a belt, etc). Try not to wear too much black or white, but if you choose to do so make sure you have a strong accent piece to give a pop of color. Think of wearing layers (from a nice jacket to a sweater or cardigan that can be taken off) so as the session progresses there can be a different look without changing an entire outfit since the session is an hour up to one-and-a-half hours with walking, set-up etc. 3. If you haven't viewed my website, feel free to view the engagement images to see my style of photography. Pin photos on a Pinterest board and share it with your photographer. I always ask my couples to pin photos from my blog that they love, so this way I get an idea of the photos and look that they love. Pinning photos doesn't mean that the photographer will replicate the pinned photo, it means that the photographer will use it as an inspiration to create a new image. 4.If you have any props (signs, flowers, scrabble pieces, iPhones with pictures, umbrella, balloons, anything that tells your story!) bring it and we can try to incorporate it in our session. 5. 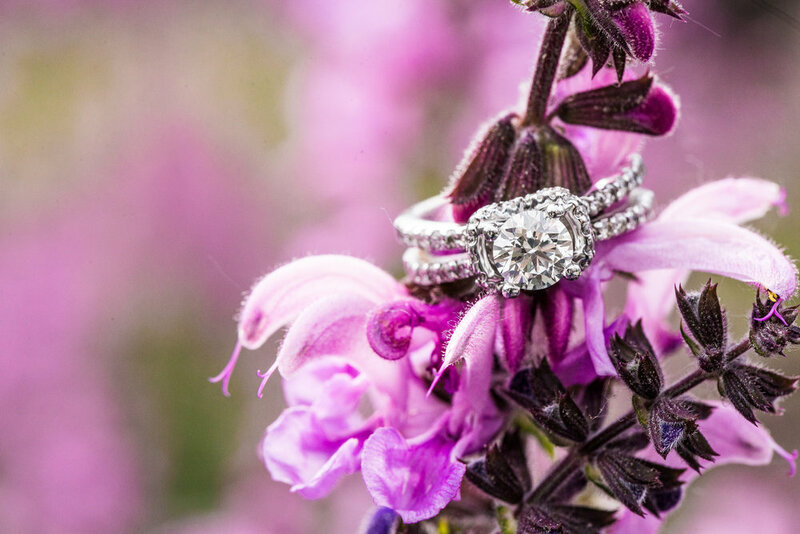 We'll be shooting close-ups of your rings so make sure to have your ring cleaned if possible, have clean fingernails, or get a manicure, and bring lotion as well so your hands look fresh. If there are any other details important to you (like a special bracelet or cufflinks you've gifted each other) let me know in advance so I can make sure to get those details as well. 6. Bring lip gloss, powder, tissues, umbrella and walking shoes if necessary! Also bring water to hydrate. Make sure to pack everything, including additional outfits, the night before and get plenty of sleep! 7. Speaking of shoes, have them cleaned if there is a lot more scruff in them and remember socks do at times show up in full body pictures (sitting down)! If there's no time to get them cleaned, don't worry too much about it! 8. We will be shooting rain or shine and we will plan the shoot accordingly closer to the date. However, if a week before the big day rain may be in the forecast, discuss with your photographer a backup location. Grand Central Terminal is always a great backup location. It has a lot of architecture that looks great as a backdrop. 9. Be sure you don't spray tan or go to the beach at least 4-5 days before your session. Sunburns and peeling skin is not fun to edit, and I would need to send photos to an editor for an additional fee. 10. Ask your photographer questions! You've hired your photographer, which means you trust them. So do trust they will take amazing photos. However, this is also your chance to talk about any photography details. Sometimes couples don't want a lot of pictures where they're kissing, or not kissing at all. If so, make sure to relay that information to your photographer. Communication is important! 11. Makeup: Girls, pay attention to your eyes. Eyeliner and good mascara are a must! Take extra care on your mascara and really separate your lashes. Your eyes will be the most important factor in many of your images. 12. Apply the rest of your makeup like you normally would, but just a tad heavier. You might also pack the basics and bring them with you on the shoot in case you need a quick touch up. 13. Moisturize your lips well before your photo shoot. Dry, cracked lips are really hard to touch up later in the pictures. 14. If you wear glasses, they could reflect light and cause glare and shadows across your eyes. Editing out glare and shadows takes an enormous amount of time and is very expensive. We don't want you to have to change the way you look, so you might consider talking to your optometrist. Most eye doctors have a spare pair of frames without glass you can borrow for your session. You will probably need to go in and see your eye doctor at least a week or two before your session to make sure they can help you and that they have a similar pair of frames in stock. 15. Be sure to bring some things to do quick fixes to your hair between locations (hairspray, brush, comb, etc) If your hair is very long, you might want to bring some clips, bobby pins, hair bands, or headbands to pull your hair back if it starts bothering you or if you just want to change up your look. We are definitely going to have a blast during our photo shoot! My main goal is not to just get great images of you two for your Save the Dates, or images for your reception table or guest books, but for you two to enjoy the time so you get comfortable with being in front of a camera.